Barnes & Noble will reportedly abandon its Nook tablets and simply license the ereader brand to other device manufacturers. The Nook has battled hard against the ubiquitous Amazon Kindle and Kindle Fire, but the latest sales figures suggest that it has not managed to corner enough of the market, meaning that US giant Barnes & Noble is going to pull the plug. According to SlashGear, a 34 per cent decline in revenue for the quarter has brought the hard decision about, although B&N are clearly hopeful that there is still equity in the Nook brand. It remains to be seen if the likes of Sony are prepared to use the brand to widen the appeal of their own devices, with the ebook business remaining buoyant despite a dearth of high profile offerings this year. 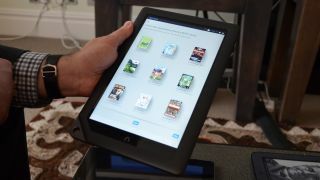 There will be a degree of sympathy for the products, with the Nook HD+ tablet garnering positive comments. Indeed TechRadar's Nook HD+ review suggested that it could carve out a niche for itself, something that clearly hasn't happened.